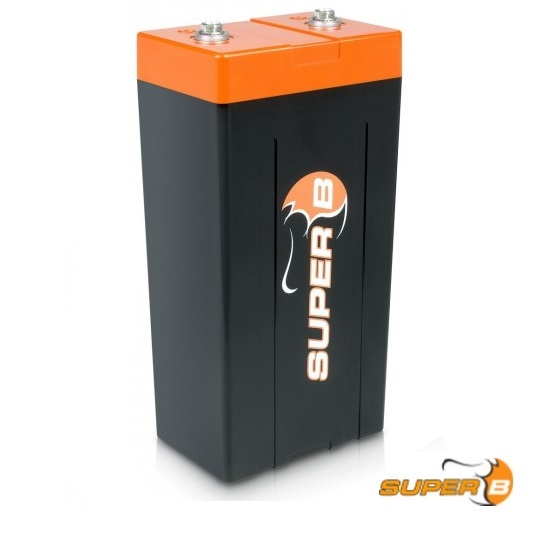 Super B batteries are based on Lithium Iron Phosphate technology (LiFePO4); the safest Lithium Battery currently available. These Lithium Ion Batteries weighing up to 80% less than conventional lead acid batteries, and take less than 1/2 the space. Super B makes one Awesome Lithium Battery! Benefits like Long service life and Low self discharge, make this Lithium Battery perfect for numerous applications. Super B makes one Awesome Lithium Battery! Benefits like Long service life and Low self discharge, make this Lithium Battery perfect for numerous applications. Pete says the Super B Orange Top Lithium battery was specifically designed for racing applications where performance and weight are important factors. Car/Truck/Boat (“Starting applications”) Super B Green Top – Lithium Iron Traction battery is designed for heavy cycle use “deep cycle applications) We are talking 2000 to 4000 charge/discharge cycles here. This lithium battery has a very low self discharge rate – 10% annually – Not Monthly! Power that will keep you going and going. Fastest recharge time found in any lithium battery – Fully Charged in 60 Minutes! Be the first to review “Super B -12v Lithium Battery (LiFePO4) SB12V20P-FC” Click here to cancel reply.